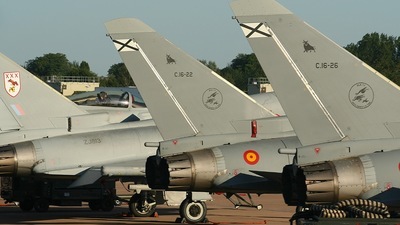 Note: Rainy day for the Airbus Family Day in Seville. 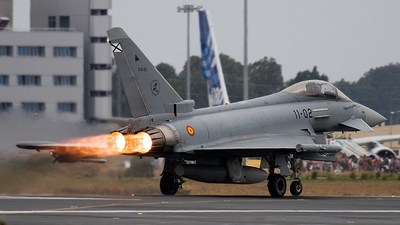 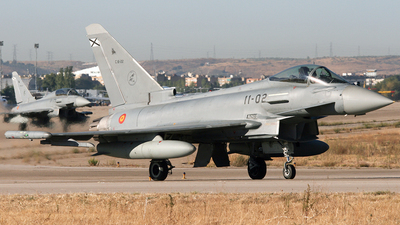 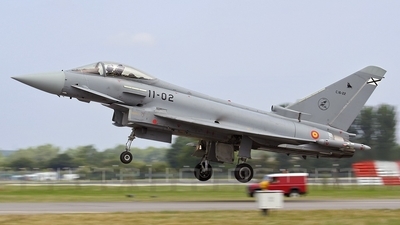 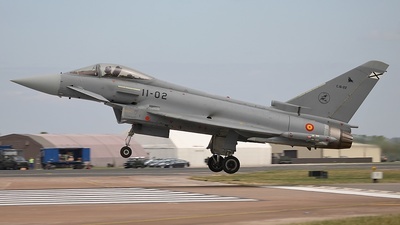 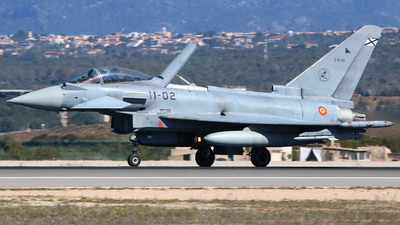 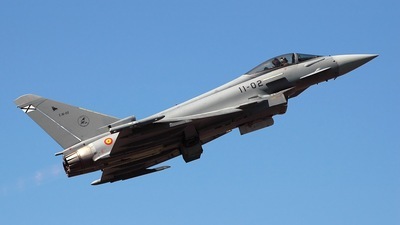 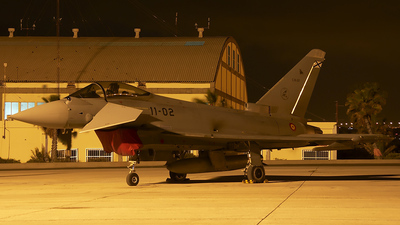 The Eurofighter takes off wiht afterburner to return to Moron Air Base. 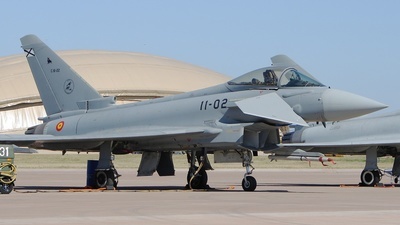 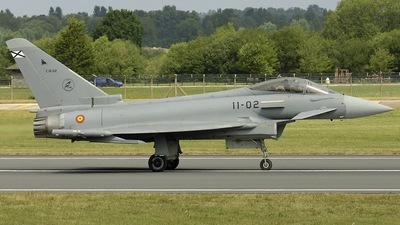 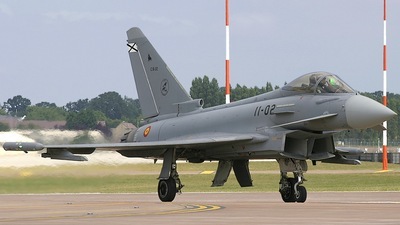 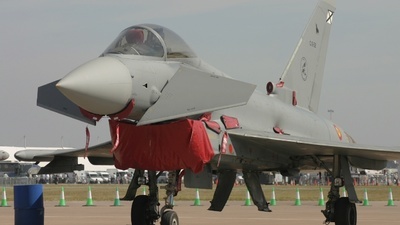 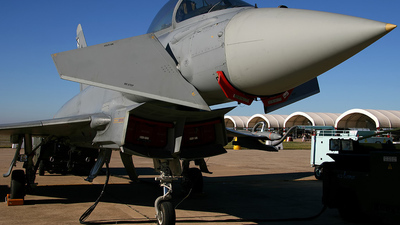 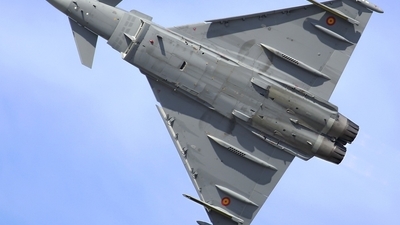 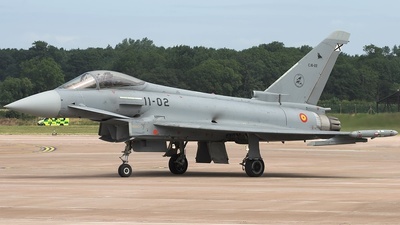 Note: During Móron Open Doors... A very tall Eurofighter at static display! 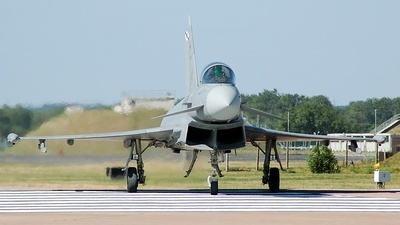 Note: Arrivals day at RIAT 2006. 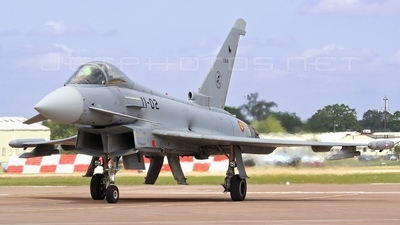 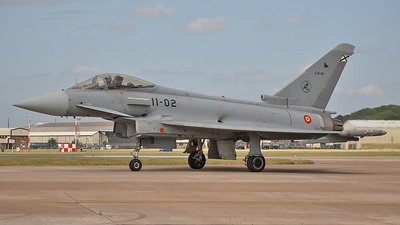 Note: Close up of this Spanish EF2000 as it taxies in on arrival to RIAT 2006. 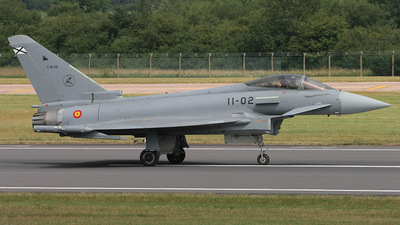 Note: On arrival to RIAT 2006. 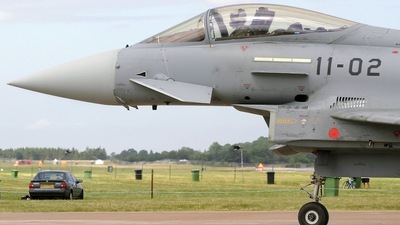 Note: Arriving for Riat 06. 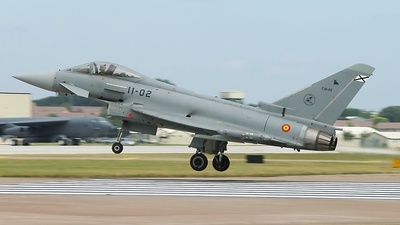 Note: Displaying at Riat 06. 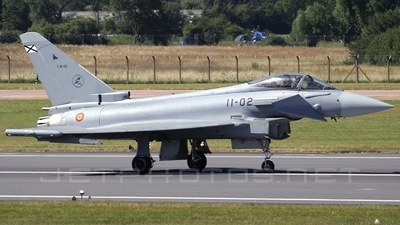 Note: Seen at the Royal International Air Tattoo 2006. 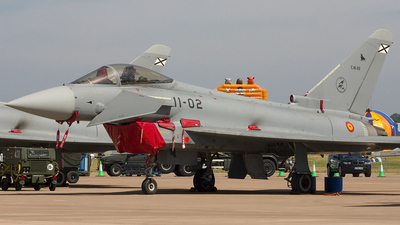 Note: Seen at the Royal International Air Tatoo 2006. 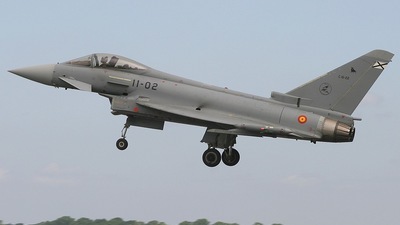 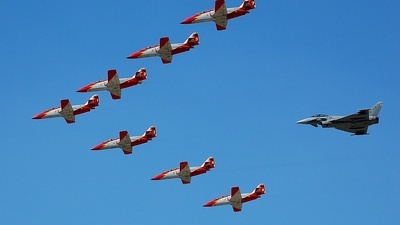 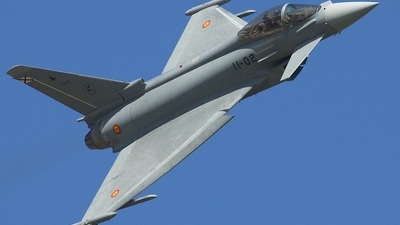 Unique flypast of the patrulla aguila with a spanish typhoon.